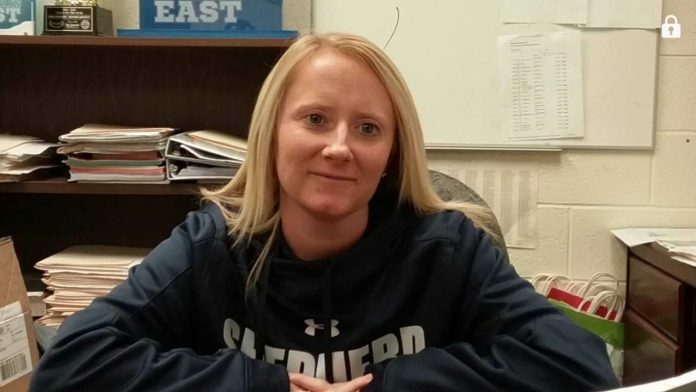 Head coach Jenna Eckleberry is entering her fourth season with the Rams. Eckleberry believes the 2017-18 Rams have great depth and shooting ability that will help them achieve their goals this season. (Anthony Bracken/The Picket). The Shepherd Rams women’s basketball team ended the 2016-17 season with a loss to the Wheeling Jesuit University Cardinals in the team’s second game of the MEC Tournament. As a result of the loss, the tremendous careers of forward Liz Myers and guard Cara Mason came to an end. In an effort to fill their production and leadership, the head coach of the Rams, Jenna Eckleberry, commented that the Rams will always be in debt to them for the amount of time and production that they gave the Rams on the court. This season’s team captains are all seniors, as their experience will be truly valuable to the Rams. Guards Morgan Arden, Kayla Tibbs, and forward Jazmyne Howard are there to provide leadership to the Rams. Having the team figure out the leaders by themselves is the typical strategy employed by Eckleberry. “Everyone can lead in certain ways, from freshmen to sophomores, sophomores to juniors, and juniors to seniors,” Eckleberry explained. Among the new Rams are five freshmen, including forwards Lexi Dean and Sydney Clayton, guards Sydney Shaw and Marley McLaughlin, and guard/forward TaRaessha Henderson. 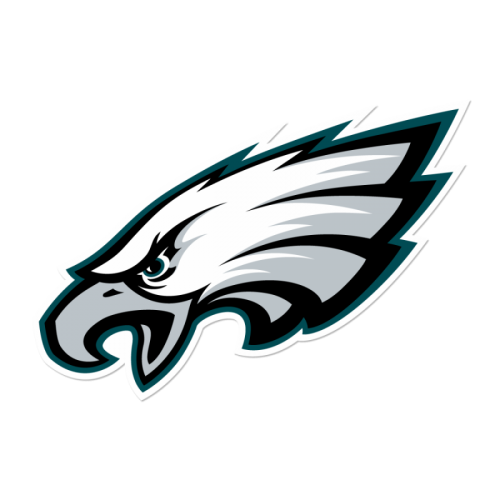 Eckleberry believes the Rams have found a new ID and are a new team of their own. Being comfortable with who they are and doing what they do best will be the key to the Rams’ success. As Eckleberry noted, the Rams are picked to finish seventh in the MEC preseason poll, but the Rams are not focusing on this at all according to Eckleberry. Ever since the offseason started, Eckleberry has seen the team’s chemistry grow more than in any other area. She believes that this team does not want to have their season end with a loss like last season. 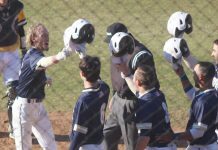 A team will always play its final game of the season, but Eckleberry wants the team to have their season end with a win. The team’s depth has also been a pleasant surprise to Eckleberry. Showing more positive results in the half-court offense and executing transition plays better are among key facets of the game to improve upon for the Rams, according to Eckleberry. Getting off to a good start is imperative for the Rams. In the 2016-17 season, the team started out 5-11, but then proceeded to finish out the regular season with a respectable 9-5 record. This was partially due to, Eckleberry believes, to having two key guards, Arden and Mason, coming off of injuries. Getting off to a better start will be largely dictated by how well the Rams perform at home. Last season, the Rams finished .500 at home with a 7-7 mark. “Any time [the] community and support is here, [we need to] take advantage of it,” Eckleberry emphasized. The Rams’ three-point shooting, which was third in the MEC last season (34.2%), is going to be an even bigger strength of the Rams this season, according to Eckleberry. The free throw shooting was not as ideal for the Rams, as the team shot 68.1% from the charity stripe last season – 12th in the MEC. When asked if the team has improved in this area, Eckleberry laughed and said the following. The free throw shooting was not executed to as high of a level as Eckleberry would have liked, as she notes that star players in particular brought the percentage down. 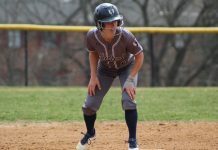 However, Eckleberry really loves the strengths of the team, which she believes again are the depth and having the ability to use players who are adaptable to multiple strategies. Eckleberry stated that she is “a guard-oriented” coach, and guard play is particularly important in the MEC, where quality guards are found in easy abundance. The Rams have four players 5’10” inches or taller, and have three guards and one guard/forward that are 5’9″, which will hopefully help with the rebounding struggles the Rams had last season. Eckleberry “loves [the] athletic makeup” of her team, which will try to improve on their -6.1 rebounding margin from last season, which was 12th in the MEC. Rebounding has been heavily emphasized in practice according to Eckleberry. Coming up with steals and having guards that are able to rebound are other ways to help with the rebounding struggles, Eckleberry believes. Eckleberry, now in her fourth season with the Rams, has seen that as a coach, you have to continue to learn and form new ideas, as doing the same drills over and over again will get boring to any player. The Rams’ first step to having a successful season begins this Saturday and Sunday, Nov. 11 and 12, as the Rams will open their season by competing in the CIAA MEC Conference Challenge in Winston-Salem, N.C. against Winston-Salem State and Shaw, respectively. Finally getting a chance to play someone else is very exciting for the Rams instead of just scrimmaging each other, Eckleberry explained. Eckleberry detailed the challenges of opening the season on the road in a tournament such as this as well. Abiding by the game plan is another area Eckleberry emphasized. The home opener for the Rams is Tuesday, Nov. 14, against Goldey-Beacom. 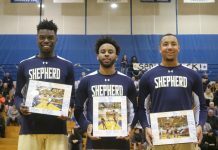 Tip-off is at 6 p.m.
Information from the Mountain East Conference’s website and the Shepherd University Athletics Department’s website was used in this article.